The geology of Mojave National Preserve is very complex and diverse due to igneous and metamorphic activity and structural deformations associated with these activities. Erosional geologic processes have altered the landscape resulting in outcrops of rocks ranging from Precambrian to Recent ages. 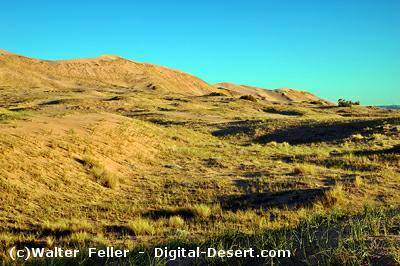 The Mojave is characterized by isolated mountain ranges and ridges separated by alluvium-filled, irregular large valleys. 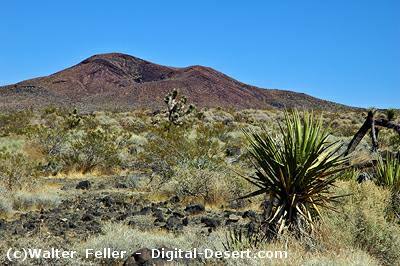 Dividing Mojave National Preserve in half is the northeast trending Providence– Mid Hills–New York Mountain ranges. The principal valleys within the Preserve include Ivanpah Valley, Kelso/Cedar Wash, Lanfair Valley, Devils Playground, Piute Valley and the northern area of Fenner Valley. Ivanpah Valley and Kelso/ Cedar Wash line up in a northeasterly to southwesterly fashion, but drain in opposite directions because of an inconspicuous northwest trending divide near the town of Cima. Both Lanfair and Piute Valleys drain via Piute Wash into the Colorado River. The remaining valleys have self-contained drainage systems as represented by playa lakes such as Soda and Ivanpah. Famous for its remarkably smooth dome shape. At one time, Cima Dome was a rugged, craggy mountain. How did it become so rounded? The story starts with the granite it's made from. 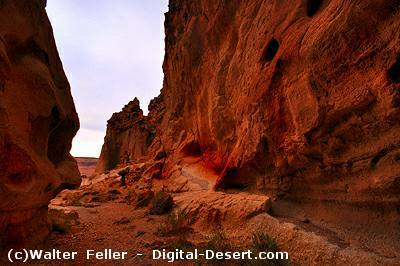 These intricate forms hold the key to a devastating and violent episode in Mojave's geological past. Cinder cones form when lava erupts as relatively benign liquid fountains. As lava is spewed through the air, it solidifies instantly. Many people visit Mitchell Caverns to admire the intricate dripstone formations (speleothems) that decorate the interior walls. These decorations formed during the last of three main stages in the development of this subterranean maze. Playa lakes are among the flattest landforms in the world. They form under arid conditions when water drains into basins with no outlet to the sea and quickly evaporates.